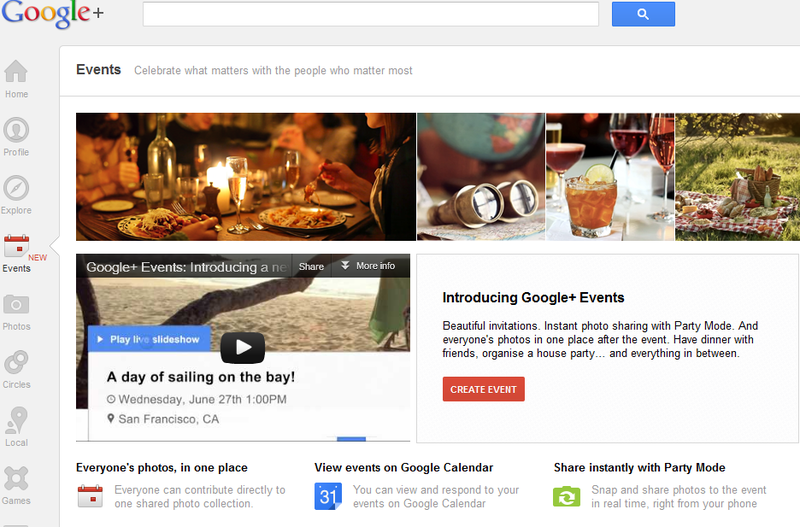 Google+ has introduced a new feature into its Google+ platform called “Google+ Event”. The new feature supports for creating and managing events as against Facebook's similar feature, Google decided to release a cutting-edge feature that's distinguishes it from everything else. Google+ Event integrates with Google Calendar, has support for beautiful themes and it's not just about creating events. The most interesting feature is called "party mode" and it automatically brings together all the photos taken by the guests. Google explained that once users enable Party Mode on their mobile device, all of their new photos get added to the event in real-time. And as more guests turn on Party Mode, more pictures will instantly appear to fellow invitees. 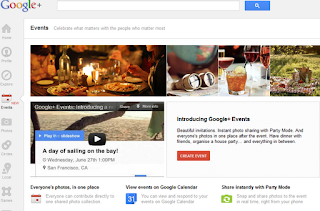 In this way Google+ Events gives your party a visual pulse. Google noted that they added a 'live slideshow' to it so that users can proudly project during any event. When the event ends, users can see everybody’s photos in one place and filter them by popularity, the photographer or the tag. It's a great way for users to manage their photos, but the individual needs to have Android phones and install the Google+ app. The Google+ app is now available for tablets. Right now, you can only install it if you have an Android 3.0+ tablet, but the app will also be available for the iPad soon. Google noted that more than 250 million people have upgraded to Google+ and the number of active users is 150 million. The active users spend about an hour per day at google.com and 12 minutes in the Google+ stream. With the launch of Google+ I question the longevity of Facebook. Yeah it would, but it would be a question of people choosing where they want to socialize pending on the social network that offers the best platform.